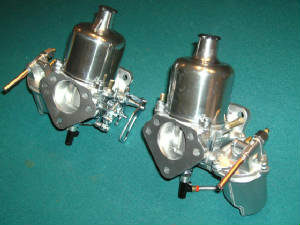 Check out our available carburetors we have on sale! 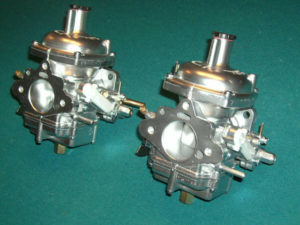 Triumph TR250 carb pairs available. $650.00 per pair. We have the early 1967/68 Model #3150 or the later 1968 Model #3173 available at this time. Please call 440 570 1932. Rebuild, Restore, Setup Third Carb & Bench test your 3 supplied TR250 or TR6 Zenith Stromberg carbs for the Goodparts triple ZS carb intake kit. 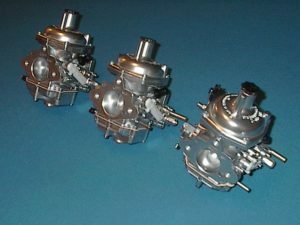 NOTE: I can supply a matching “third” rebuilt, restored & bench tested ZS carb for the triple ZS carb kit for $325.00 if you only have a pair of carbs. 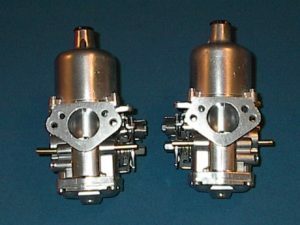 I can also install the triple ZS carbs & linkage to the Goodparts triple intakes that you furnish or supply the Goodparts triple carb conversion kit and build the entire setup for $200.00. I will use new gaskets, insulator spacers, gaskets & hardware. I can use your supplied existing linkage & restore it or supply a completely restored linkage. You can supply the triple intakes or I can supply them. 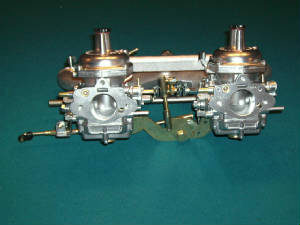 Rebuild, Restore & Bench Test your complete TR6 setup: carbs, intake & linkage. Intake manifold is micropolished inside & out, vacuum fittings replated & the hot water pipe is refinished. Linkage is completely disassembled correctly replated & reassembled. Carbs are assembled onto the intake manifold with new gaskets & hardware. Linkage is adjusted & carbs are mechanically schronised with respect to each other. Complete setup is ready to bolt on & run with minor tuning i.e idle speed and final mixture adjustment. Complete setups are available outright for $850.00 Please call for availability.